Tea tree oil is also known as melaleuca oil, tea tree oil comes from the Melaleuca alternifolia tree. The tree is indigenous to Australia, it grows in New South Wales and the north coast, it can be found around swamps and streams. There are several tea tree oil uses. The Australian aborigines crushed the leaves of the tree and inhaled the oils to treat colds and coughs. Wounds were treated by sprinkling the leaves over them and applying a poultice. Sore throats and skin ailments were treated by soaking the leaves to create an infusion. The use of the oil was not common practice until a researcher called Antony Penfold published papers reporting the antimicrobial activity of the oil in the 1920's and 1930s. Today tea tree oil uses for conditions include infections, wounds, nail fungus, athlete's foot, dandruff, lice, skin lesions thrush and cold sores. 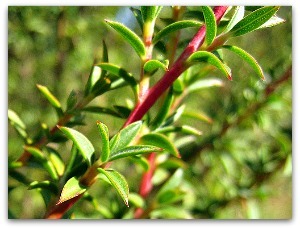 Tea tree oil is usually applied directly to the skin. A study published in the 2008 addition of the Medical and Veterinary Entomology showed that tea tree oil performed better than a pharmaceutical remedy called permethrin against head lice. A clinical study published on pubmed showed that tea tree oil combined with debridement and applied topically was as affective as clotrimazole in treating onychomycosis, a common cause of nail disease. A study published in the Medical journal of Australia which involved 124 patients showed 5% tea tree oil was as affective as 5% benzoyl peroxide in treating moderate acne. Do not swallow tea tree oil, when swallowed it can cause disorientation, drowsiness, rashes and muscle control loss in the legs and arms. There is one case of a patient going into a coma after he drunk half a cup of tea tree oil. Tea tree oil has various quantities of 1,8-cineole compound, which is a skin irritant. Products that have large amounts of this compound might cause an allergic reaction, contact dermatitis or skin irritation, in some people. Diluted tea tree oil is considered safe to use.